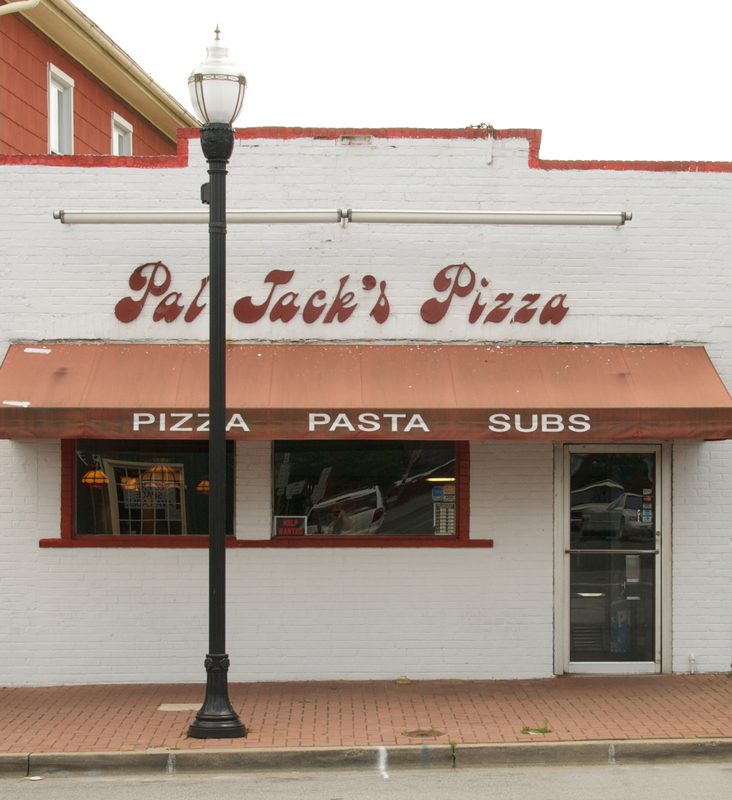 One of the last great Laurel pizza joints closed in December 2010, when Pal Jack’s finally ceased operations. 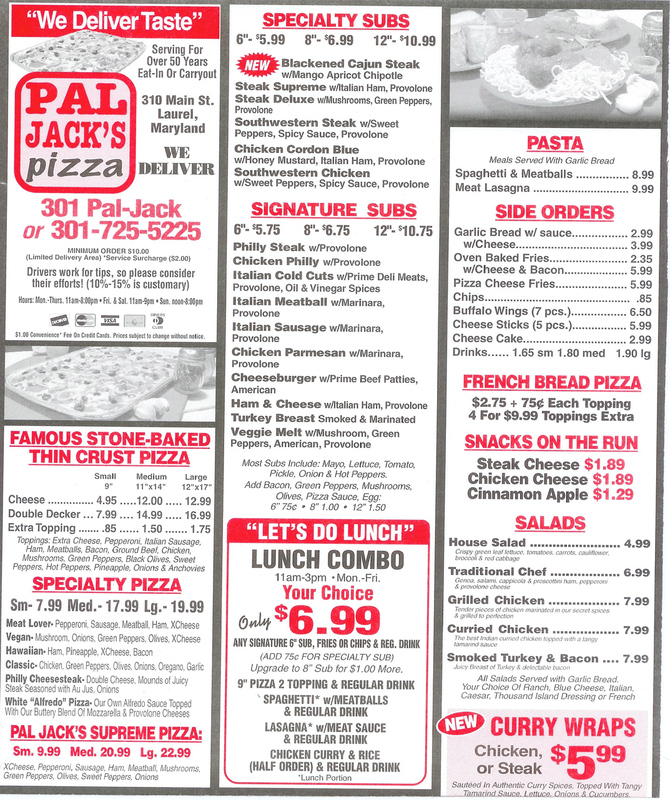 Long known by its easy-to-remember telephone number, (301) PAL-JACK, it was founded by Jack Delaney—original owner of that other great Laurel pizza joint, Delaney’s Irish Pub. While ownership changed hands over the years, the name (and phone number) remained. The most noticeable difference in this 2010 carryout menu is probably the addition of “curry wraps”—a decidedly eastern fare that wasn’t offered during Pal Jack’s heyday. I worked there with my Dad (owner, Carlo Petrucci) from 1970 till I went off to college around 1974. Then when I had my first child, we’d go for a mushroom pizza every Thursday night. I loved their pizza. Hi Gina–Your sister Gloria, friend of my wife Kathy (Mooney), ran the restaurant (owned it?) for at least a few years, didn’t she? Kathy says “hi.” and wants to know the secret recipe–great pizza! (Gloria gave it to her years ago but we’re unable to locate it). My and my husband were just talking about Pal Jack’s and how much we loved their pizza. Wish they and Delaney’s were still around. Thanks for the update.